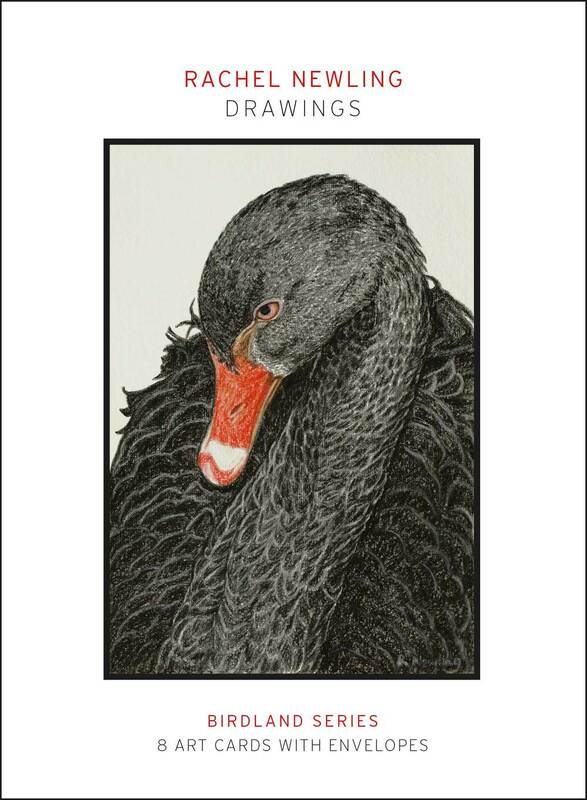 A range of unique, quality art cards featuring Rachel Newling's images in linocut, engraving and drawing. The cards come in 5 different wallet packs, each containing 8 different cards with envelopes, the cards are blank inside. There are 54 cards in the range, each comes packed with an envelope in a sealed cellophane bag. Black Swan, Corella Pair, Tawny Frogmouth Chick, Butcher-Bird, Galah, Kookaburra, Tawny Frogmouth, Brolgas.